Seems this month, its flowers left and right that have been cropping up. I received one bouquet last April 5 and another one now. 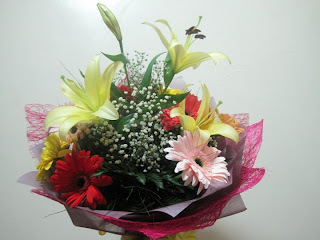 The story behind the flowers, never to be divulged. 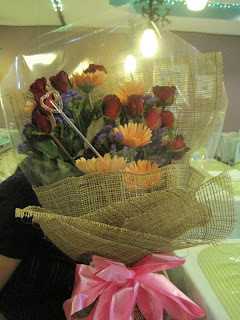 Anyway, enough about the back story and on to the photos of the bouquets themselves. Tell me, which one do you prefer?